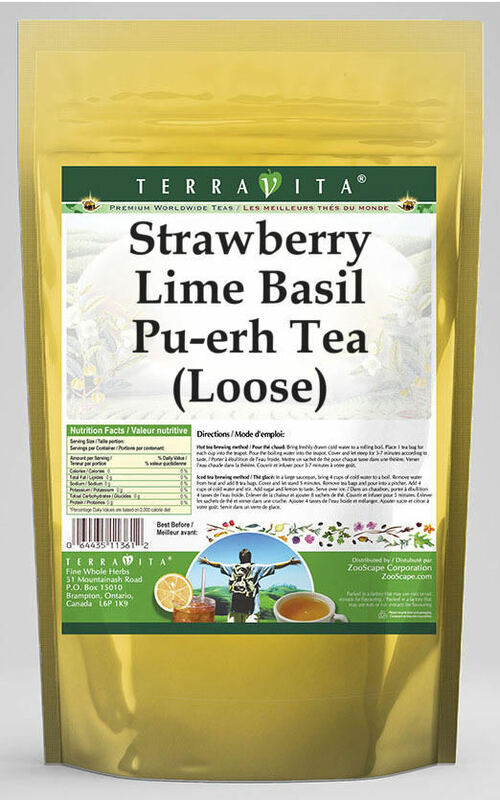 Our Strawberry Lime Basil Pu-erh Tea is a terrific flavored Pu-erh tea with Dried Strawberries, Lime Peel and Basil that you can enjoy again and again! You will really enjoy the special Strawberry Lime Basil aroma and taste! Ingredients: Pu-erh tea, Dried Strawberries, Lime Peel, Basil and Natural Strawberry Lime Basil Flavor.